You are here: Home » Where’s Waldo? Neither too big, nor too small, Portland’s Museum of Art is just the right size to tackle in an afternoon. While its collection of 42,000 objects is 50 times smaller than New York’s exhaustingly large Met, we found the quality to be superb. And not just from an artistic mastery perspective. Yes, many of the giants, including Monet, Picasso, Degas, and Rodin, are represented in the small collection. But, more importantly, we found the museum to be densely populated with interesting subject mater. Maybe we were just in the right mood for a museum that day, but it seemed this museum had a higher than normal concentration of works that we wanted to linger over. 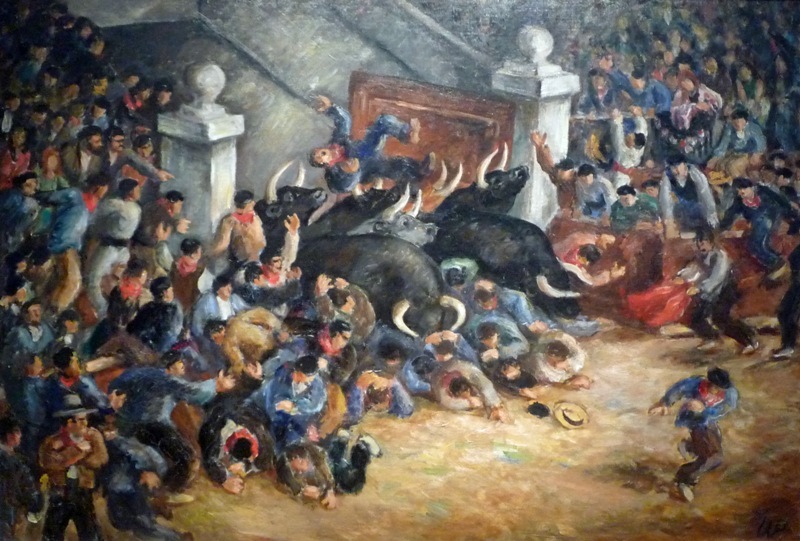 The Running of the Bulls (above) is just one example. The painting first captured my attention because I liked the depiction. I admit, I’m the kind of person who roots for the bull in a bull fight. I take a perverse pleasure in seeing people who torture and torment animals get gored. It is a decidedly deserved rough justice that occurs far too infrequently. So I stopped to admire these bulls ripping one such jerk a new one. It was Shannon who noticed that the artist is Waldo Peirce, a good friend and traveling companion to Ernest Hemmingway. The two men traveled to Pamplona, Spain, on one of their inaugural trips. 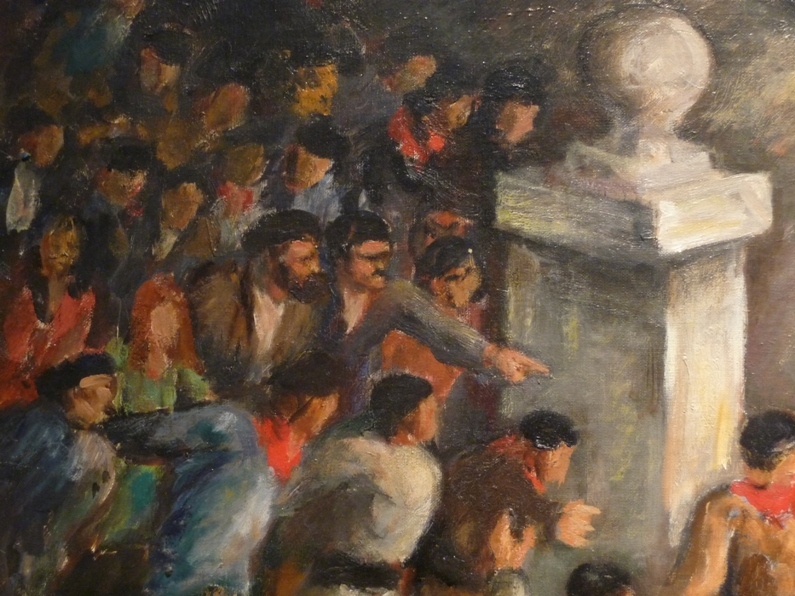 In what is likely the first ever “Where’s Waldo” illustration, Peirce painted himself and Hemmingway into the crowd. You can see Hemmingway, in the upper left of the canvas, directing Peirce’s attention to the carnage of the main event. Art is fun. Class dismissed.